Set the stage for big events and ordinary moments with the right carpet in Los Feliz CA. Flooring can make or break your interior design. Fortunately, by installing the right carpet in Los Feliz CA, you can begin building a flawless design. Start your search for the perfect carpet at Monarch Carpet, Drapery & Upholstery. We have a huge inventory of wool, nylon, and olefin carpets in a rainbow of shades and a variety of patterns. All these benefits, and carpet is still one of the most affordable flooring options out there. 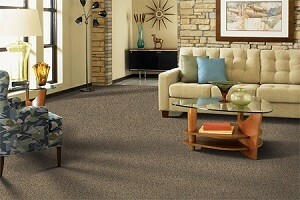 Make a beeline for Monarch Carpet, Drapery & Upholstery to maximize the beauty you get for your budget. Loops, cut loops, tufts, and twists…do you have any idea what it all means? When you shop at Monarch Carpet, Drapery & Upholstery, you don’t have to. 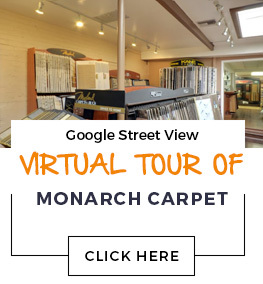 Unlike your average carpet dealers in Los Feliz CA, we have true carpet experts on staff who can actually explain all the different terms and specs to you so that you can make an informed decision about your new carpet. Quick and courteous assistance with any manufacturers’ warranty issues. Remember, it’s all but impossible to choose the perfect carpet in Los Feliz CA unless you take some samples home! Stop by our store and we’ll help you pick out some excellent carpet samples to consider at home. Just remember, when you look at that sample at home it won’t be as intense or impressive as the full size version will be. Want more information before you visit? Call (877) 766-6272 during business hours or send us your question using our online contact form. We’re always happy to help.